Sven Fandrup was recently recognised for his work and commitment towards the Rare Disases Community together with Dr Susanne Blichfeldt. 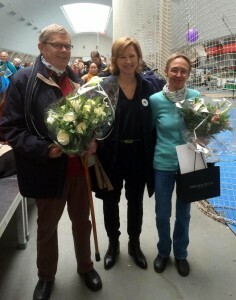 The prize was 5000 DKK (670 Euros) and a fine piece of jewelry made by a Danish artist. The award was presented by Sophie Hæstorp Andersen, President of the Capital region of Denmark, during the Danish celebrations of the Rare Diseases Day on the 28th of February. The event was attended by 700 participants and also comprised a big run in a local park. 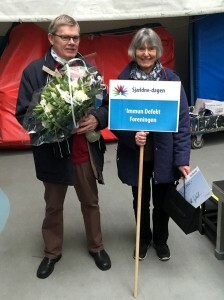 Sven has served for many years as chairman of Immun Defekt Foreningen (Danish PID patient groups), provided guidance for rare diseases campaigns in Denmark and has also served as a Board member and Treasurer for IPOPI.